Valances and Rail Tops can be used most anywhere -- usually they're used on top of railings and gates, or just below railings, as an additional decorative element. Essentially, they are decorative elements and usually thinner than panels -- but, unlike panels, they are not strong enough to act as structural elements. 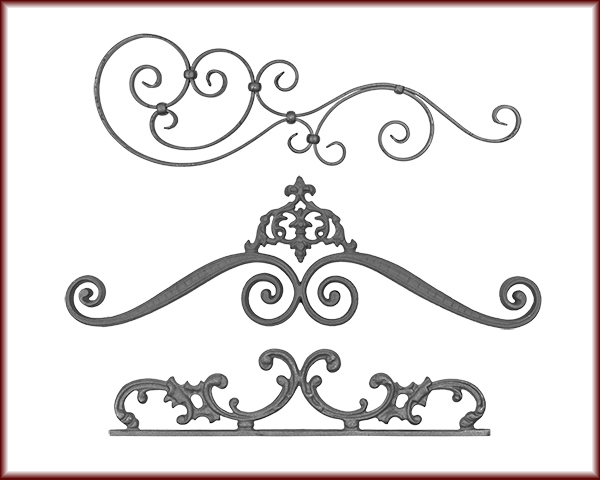 These Valances and Rail Tops can be welded to steel or iron.